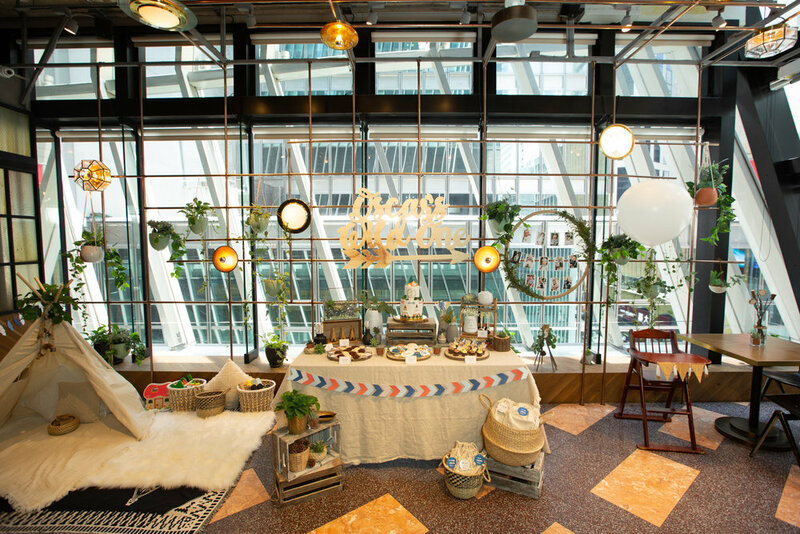 We mixed canvas, succulents, plants, wood, tin golden elements and glass to create an interesting table and play area. Our table had the most delicious donut arrows, chocolate teepee cones, boulder cake pops, white chocolate drizzled pretzel sticks, cupcakes and cookies. We had succulents, a terrarium, log platters, and all kinds of wooden crates and baskets. We also put our custom favour bags by the dessert table. We made a a big hoop adorned with leaves and flowers to showcase photos of the birthday celebrant, and, below this, we placed his styled high chair that was adorned with a pretty feather and kraft paper bunting. We placed mini centerpieces composed of simple florals and feathers with some pine cones on the tables. 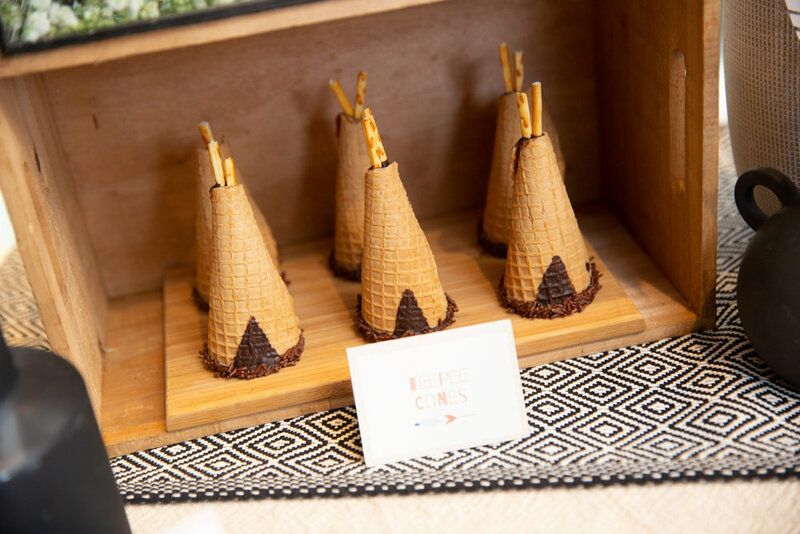 We also had little wooden stick teepees scattered around the place to add some rustic feel to our areas. Our really cute play area had feather cutout buntings, a teepee, boho and fuzzy rugs that are oh-so-comfy, and baskets filled to the brim with wooden toys and books for the little ones.